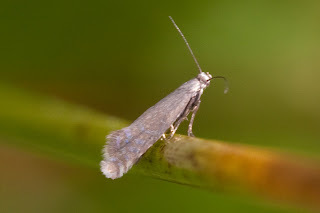 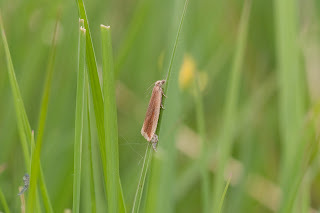 Pretty dingy and a terrible photo but a Glyphipterix of some kind? This was actually in the trap - Eudonia pallida? 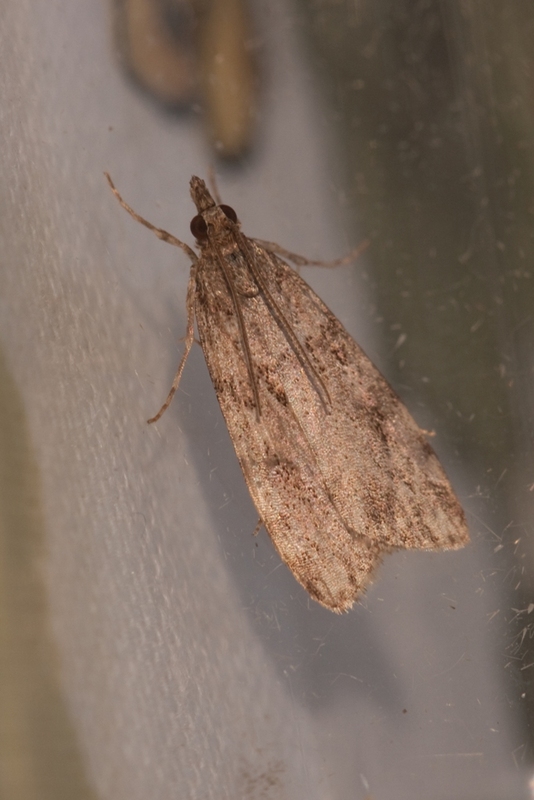 The middle on is a worn Scoparia; E pallida is uncommon and its markings are actually pretty distinct when fresh. The third is Bactra lacealana.